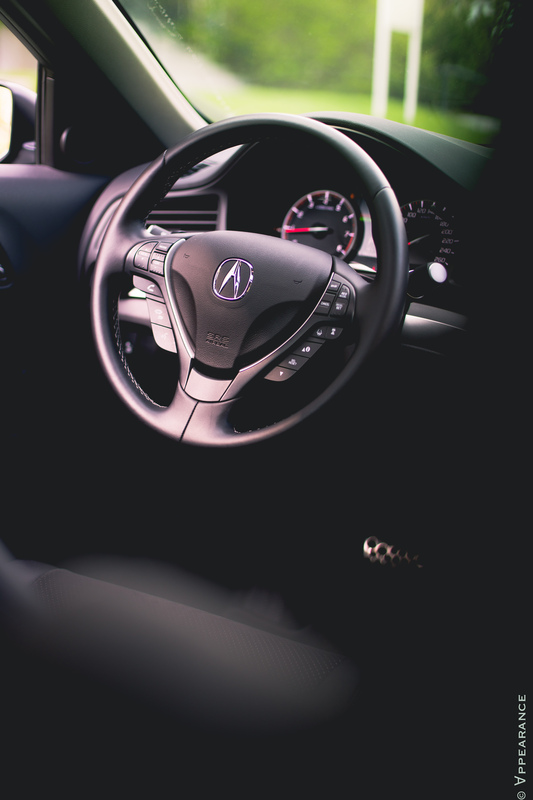 About a year ago, back when Clavey’s Corner was still at the fetal stage, I wrote an article on the Acura ILX. It went along the lines of me understanding the car better than anyone else. People loved it. So much so in fact, that it got noticed and shared by Jalopnik; generating over 27 000 visits, 300+ comments, and 43 recommendations. And that felt great. But a lot has changed since then. I am now, apparently, an automotive journalist, and I’ve had the opportunity to drive quite a lot of cars after writing that rant. 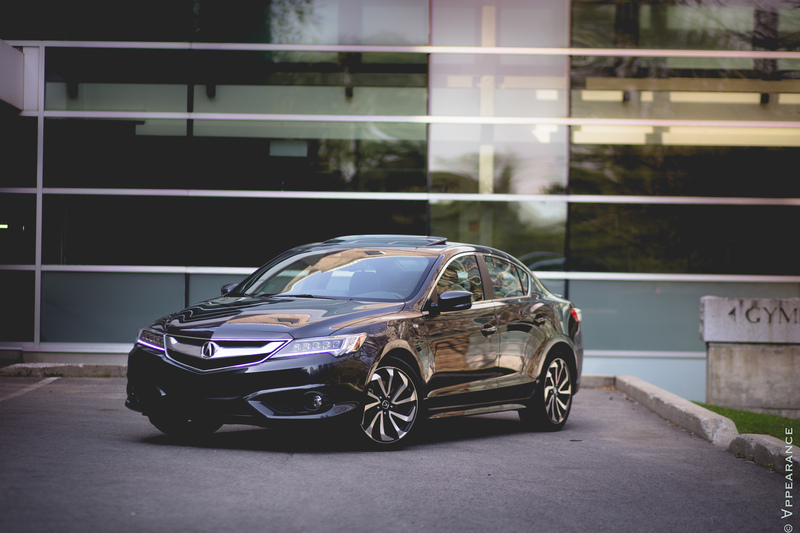 So, when the time came to finally sit behind the wheel of the 2017 Acura ILX and give it a real review, you can imagine how worried I was it wouldn’t live up to my claims. Turns out my predictions were spot-on; after spending an entire week with the car, I can confidently say that I still understand the Acura ILX better than most of you. What I mean when I say “most of you” is that the Acura ILX has unfortunately been the subject of quite a bit of hate lately. “Most of you” refers to you guys; the car geeks, don’t understand the ILX. Yes people, the Acura ILX is based on the Honda Civic. 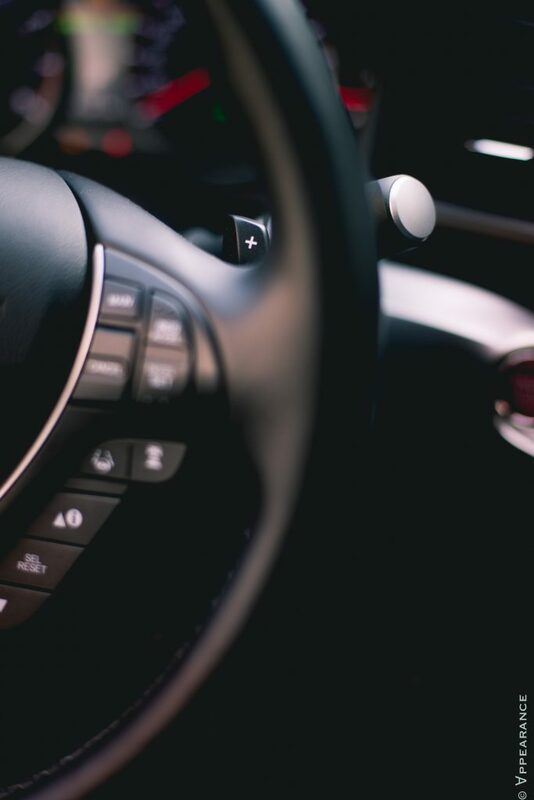 Just like the Audi A3 is based on the Volkswagen Golf, the Buick Verano is based on the Chevrolet Cruze, and the Mercedes-Benz CLA is based on the B-class. Acura has done everything it can to not make the ILX feel like a Civic. For starters, there’s the overall design of the thing. Up front, Acura has fitted the ILX with their corporate set of Jewel Light LED headlights. They not only do a fantastic job at lighting up the road, but also blend rather well with Acura’s controversial chrome beak. They also give the ILX a properly premium presence. Like the Jewel Lights or not, they sure work at giving Acura brand identity. Other exterior non-Honda Civic design cues include a different hood, a different set of wheels, and a completely reshaped rear end complete with all new LED tail lights. 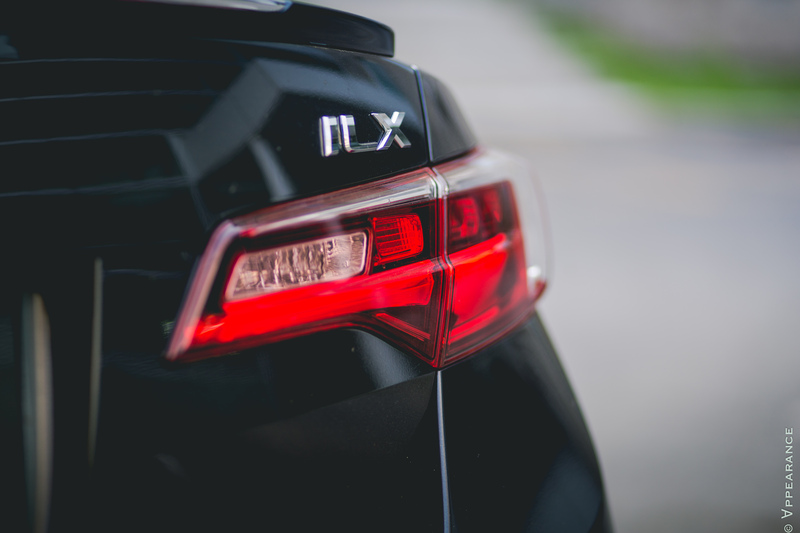 Granted, the ILX still shows hints of the last generation Civic, but Acura did a fantastic job at making the ILX stand its own ground as an independent product. Regarding the power issue, remember, this is not a Type S or Type R Acura. Although we’d all like to see that come back in Acura’s lineup, the ILX is more targeted at competing with an Audi A3, rather than an S3. So 201 hp and 180 lb-ft of torque is plenty fine in this segment. In fact, it’s 20 horsepower more than an entry level A3 or Buick Verano. It’s also enough power to launch the ILX to 100 km/h in a more than satisfactory 6.4 seconds. That power is achieved through Honda’s tried and tested naturally aspirated 2.4-liter, direct injection, four cylinder; A.K.A the K24 for Honda fanboys. 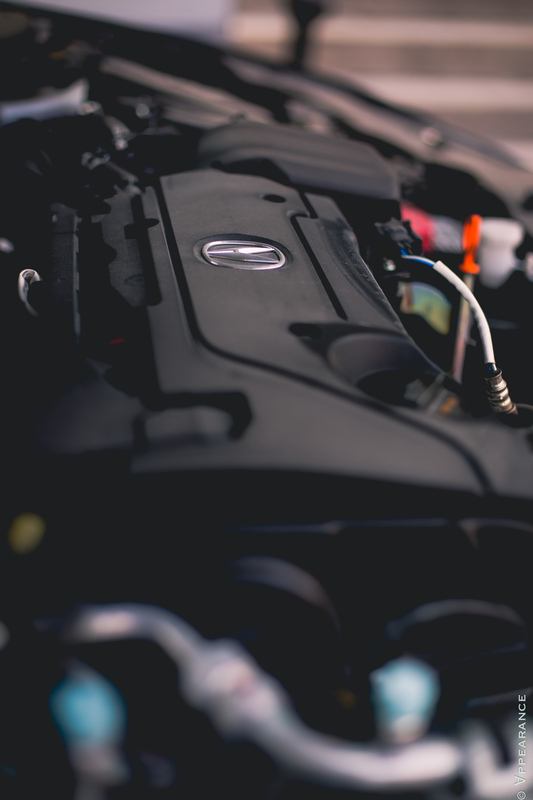 Acura doesn’t brand it, but VTEC is in there somewhere, since this is essentially a direct engine swap from the last generation Civic Si, but with the added benefits of direct injection. And it’s a peach of an engine. A bit weak on low-end torque, but revs freely, sounds terrific, and starts barking at around 5000 rpm. Because VTEC. Then, there’s the real unique stuff; the transmission. Unlike the bigger TLX SH-AWD that I tested this winter, which came fitted with a laggy and unintuitive 9-speed automatic, the ILX makes do with a rather sophisticated and impressive 8-speed dual-clutch setup. Not only is this the first DCT transmission offered by Honda/Acura, it’s also the first to be fitted with a torque converter. 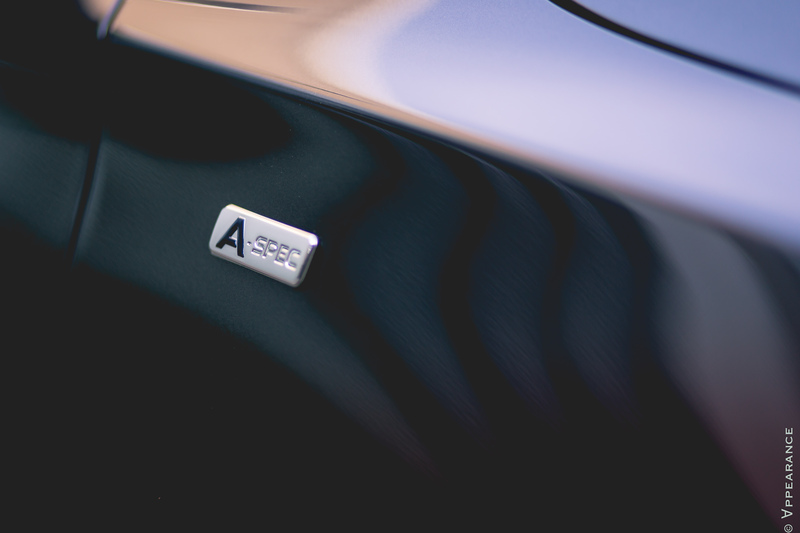 It’s also exclusive to the Acura brand. It also happens to be one of the best dual-clutch transmissions I have tested so far. In fact, I think it works even better than the Volkswagen group’s system I tested in the Audi S3. 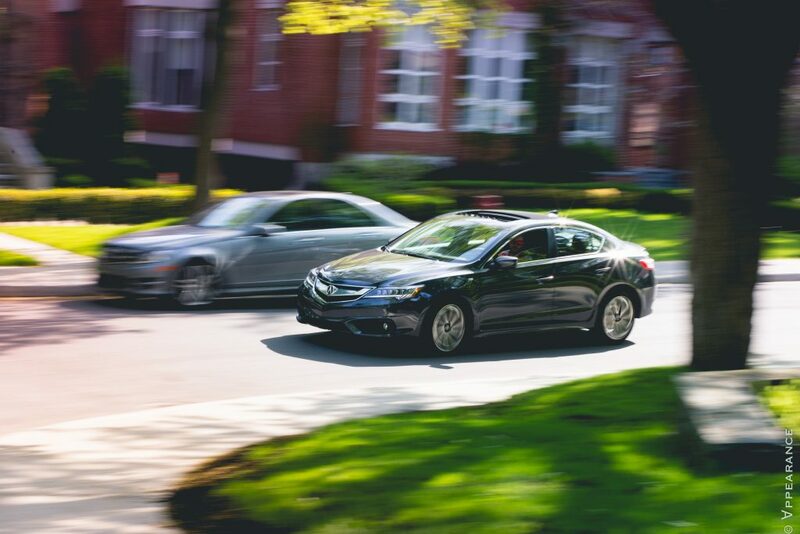 Leave the ILX’s transmission in D, and it accelerates smoothly and swiftly without the usual jerks typically associated with a DCT. D also shifts immediately to the highest gear to maximize fuel economy. During the week I had my ILX, I managed to keep it in the low 8s, even while allowing myself to beat the snot out of it from time to time. Shift the ILX into S though, and the car really gets up and goes. The gearbox quickly changes its characteristics to a full on performance setting by holding on longer to revs, remaining in the lower gears to optimize the high-revving engine’s powerband. The DCT also amusingly blips the throttle automatically upon downshifts with a rather enjoyable and almost sport compact car-like exhaust note. Some would call that unrefined. I call that a soul. 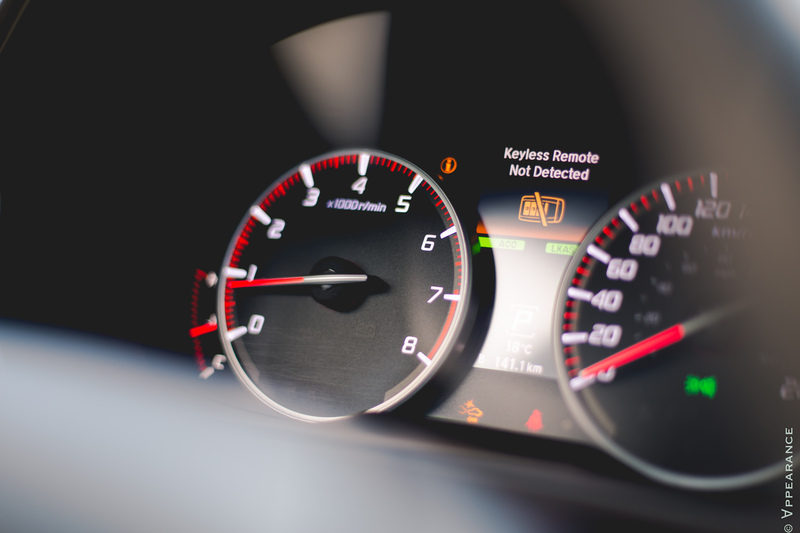 There are steering mounted paddle shifters for your amusement, but like in the TLX, the system frustratingly still shifts for you before it hits the rev limiter. The transmission may be a fine bit of engineering, but I do wish Acura would still offer the ILX with a manual transmission option. That engine just begs to be let loose. Nevertheless, the Acura ILX remains a fun-to-drive car. As a matter of fact, in some instances, it almost felt like a Golf GTI. Handling is good, but a tad on the plush side. 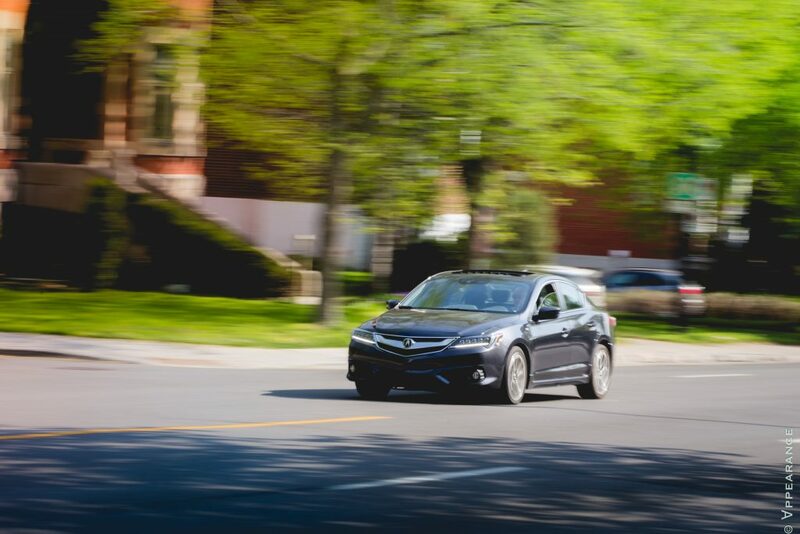 Turn in is sharp, steering feel is light and engaging, and there’s an overall sense of playfulness in the way the ILX drives down the road that is reminiscent of the best Honda products we grew up with. Unfortunately though, the ILX does suffer from the same shortcomings as the last generation Civic. 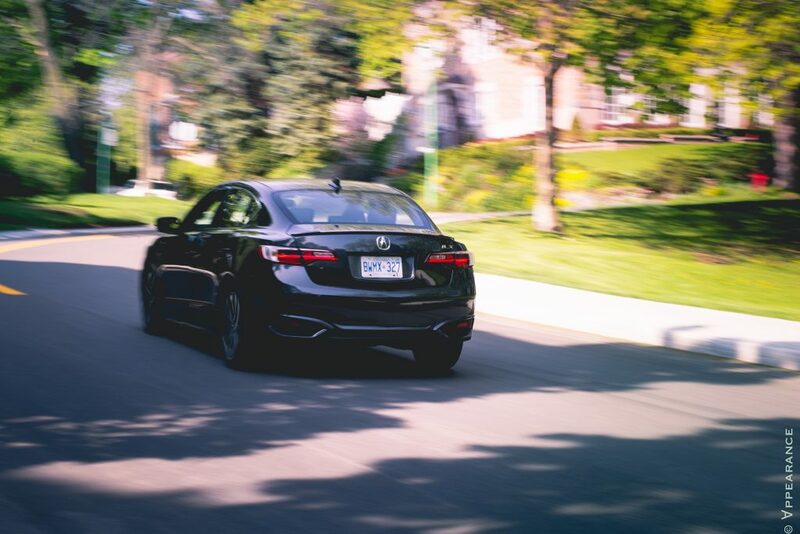 Even with Acura’s efforts to quiet down cabin noise, the ILX remains loud, especially at highway speeds, where road and wind noise remain prominent. The chassis also seems easily unsettled and quibbles undesirably when driving over Québec’s legendary roads. The problem isn’t really related to the way the ILX’s chassis is tuned. It works just fine. 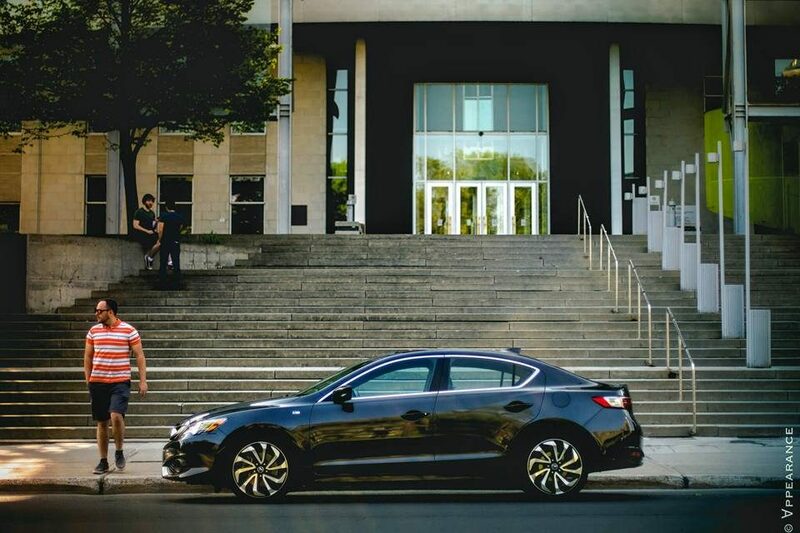 The problem rather lies with the fact that there is a new Honda Civic in town, and its ride and handling are so buttersweet exquisite that it makes the ILX feel somewhat dated in comparison. I can’t wait to see what kind of ILX will spawn from the new Civic platform and turbocharged engine family. 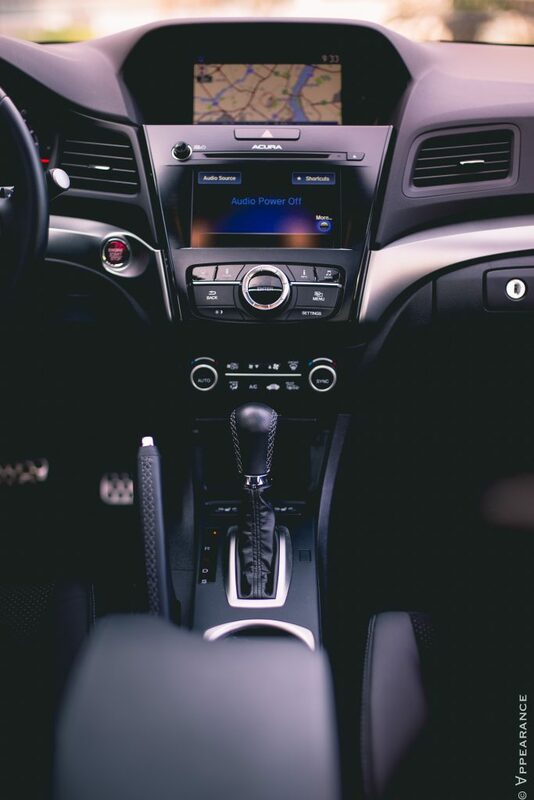 An entry level 2017 Acura ILX, which comes standard with those NSX-like Jewel Light headlights, the DCT 8-speed transmission, power adjustable and heated driver and passenger seats, and an array of safety tech such as AcuraWatch including lane keeping assist system (LKAS), a forward collision warning system, lane departure warning, adaptive cruise control, road departure mitigation, and collision mitigation braking system, sells for an honest and somewhat affordable $31 791. In contrast, an Audi A3 starts naked at $31 600. My tester, the top-of-the-line A-Spec model, adds the upgraded 18-inch wheels (love ‘em or hate ‘em), sportier body kit, side skirts, rear decklid spoiler, an ELS 10-speaker sound system with Sirius/XM, AcuraLink connectivity, metal “racing” pedals, Acura Homelink with SOS assistance, a black headliner, and navigation. That one, the full-fat version, sells for $37 191. 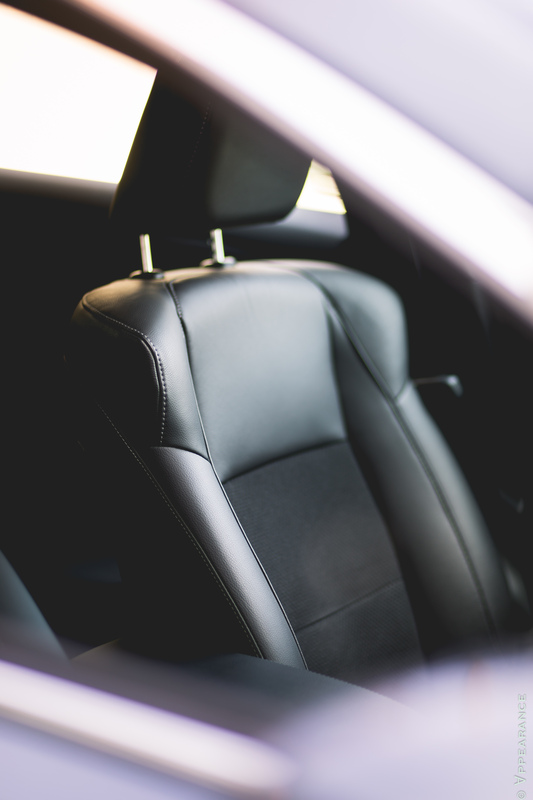 Add to that a nicely put together interior, Acura-traditional fit and finish, ample rear legroom, a decent-sized trunk, and you’ve got yourself a fantastically well-packaged compact luxury sedan that not only looks good and is fun to drive, but costs thousands less than the German competition; both during purchase and maintenance. 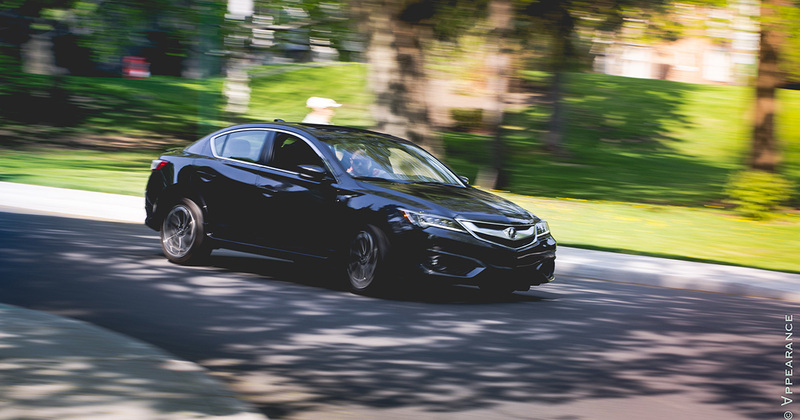 Final verdict: The ILX may not be the new Integra, but it remains a fantastically well-executed compact luxury sedan that pushes all the right buttons to attract younger buyers into Acura showrooms. Now, if Acura can find a way to make their silly dual-screen infotainment system simpler and offer a Type-S version with a manual transmission option, they’d be delivering exactly what their target demographic is asking for. + Fantastic 8-speed dual clutch transmission. + High-revving naturally aspirated engine. – High road and wind noise for the segment. – Lack of a manual transmission option. Test drove a 2013, used, just a few days ago. Thought I had a slam-dunk buying a new Mazda3 after my old one was written off, then this ILX with an amazing 6-speed manual, free-revving engine, nice sounding exhaust, etc comes along. If the damn thing had warranty left I’d probably have bought it. I bought a TSX in September 2003—the 2004 model—-and it has been a honey of a car throughout these last 14 years (TSX? 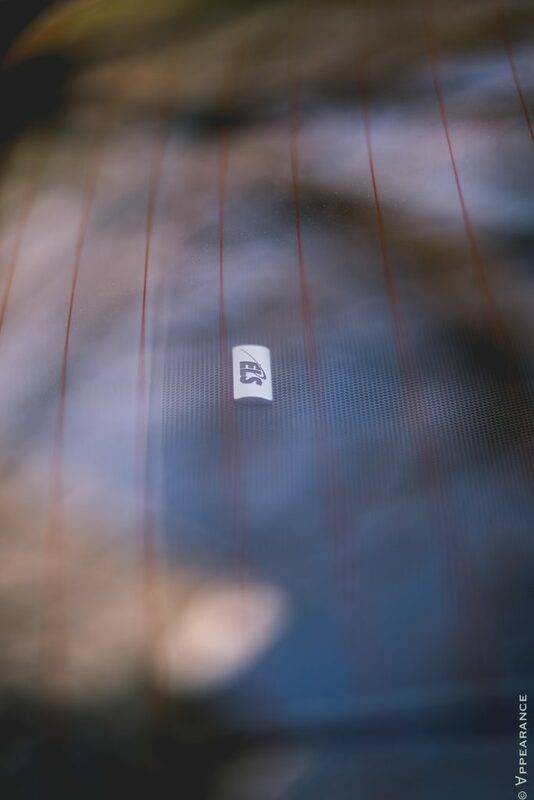 Yup, the “ILX” of yesteryear). The six-speed manual makes the car a lot of fun. Any break downs? Well . . . once . . .. when my starter motor froze. Hitting it hard with a tire iron cured it (but I installed a new one anyway). And the alternator bearing got noisy too, and I had to replace it (the alternator). I had to repair an unsewn seam in the driver’s seat. Otherwise that’s it for the last 130,000 miles. This car is still solid, still delightful. Best car I’ve ever had (and I’m 76 years old).